I poke my head into the office without knocking. So, actually, back in the early days every chapter of the manuscript started with a brief dream Marah had had the night before, but we’re just going to pretend those never existed, okay? I poke my head into the study without knocking. Office is exchanged for study. Nothing much to see here. This is the first sentence of the manuscript I had when I started querying agents. In the morning, I escape the apartment to go to the Ikhad. I think this is an improvement. There’s a greater sense of context, and we get a hint of the narrator’s attitude toward her surroundings. Maybe home is not her favorite place to be. The Ikhad, by the way, is a covered market that I think was inspired by one I saw once in the Dordogne. I escape the apartment in the morning. Snappier, maybe? This is the first sentence of the manuscript for which I was offered representation. It lasted through three or so subsequent drafts. At this point, my agent suggested adding a prologue to the book. I was surprised since writers are so often told that agents (among others) hate prologues and that a story should start where the story starts. But I took the suggestion, and Sparkers joined the confrerie of fantasy novels that begin with prologues. So here is the first sentence of the whole book, as well as the first sentence of the first chapter. Prologue: The first time I went to the Ikhad by myself, I was eight years old, and my father had just died. This sentence actually never changed; it’ll be the opening of the published book. Chapter 1: On a brisk morning in late autumn, I leave our fourth floor apartment on the Street of Winter Gusts and hasten through the quiet streets of our Horiel District neighborhood. This is still the same moment described in earlier drafts, but as you can see, the sentence has gotten way longer and more detailed. Proper names and adjectives everywhere! Chapter 1: On a brisk morning in late autumn, I leave our fourth floor apartment on the Street of Winter Gusts. Evidently I decided I’d gone overboard in the last draft and chose to put in a period earlier this time. Chapter 1: On a brisk morning in late autumn, I leave our fourth floor apartment on the Street of Winter Gusts and head for the Ikhad. The Ikhad is back! Just so you know where she’s going and all. Chapter 1: On a brisk morning in late autumn, I finish a shift at Tsipporah’s book stall and start across the bustling Ikhad. In this revision, I’ve shifted the moment when the book begins forward in time. Now instead of leaving for the Ikhad from home, Marah is already at the market. There is also another character mentioned, but she was introduced in the prologue. The first sentence of which, recall, is still the same as above! In case you like thinking about food as much as I do, here are some dishes I have cooked recently. Since I rarely feel like I have the time to spend a leisurely evening cooking, I generally avoid making anything very involved, but whatever I make usually ends up being tasty. 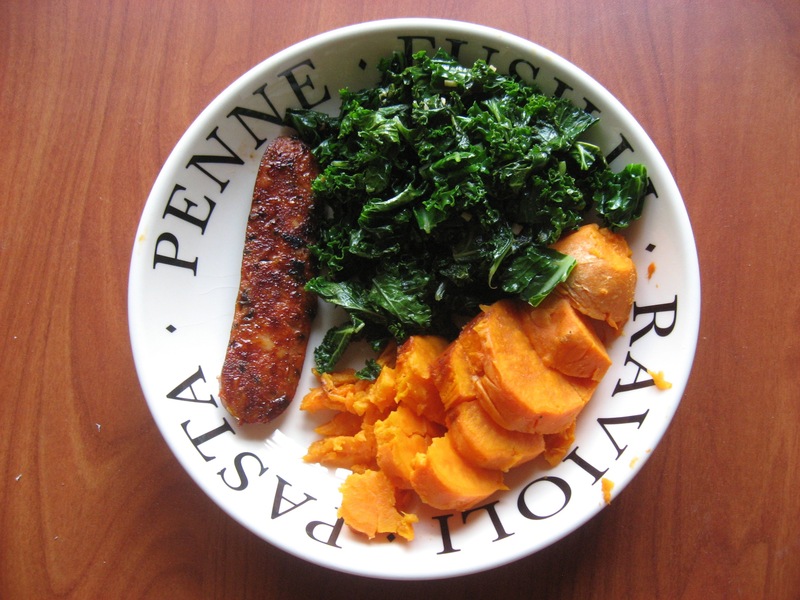 The kale was from the farmers market. I could eat piles of the stuff. I cooked it in olive oil with some minced garlic and a dash of fish sauce. The sweet potato was just baked. I baked five at once and ate them over the course of several days, as you will see below. I don’t buy meat very often, but I heard about this new Korean barbecue-inspired chicken sausage from Trader Joe’s, and I was intrigued, so I decided to try it. Well. The flavor was good, but the texture was a little weird. Maybe I should’ve known better. Last week, the temperature shot up into the high 90s and stayed there for days. I didn’t feel like eating hot food, so my thoughts turned to potato salad and pasta salad and things of that nature. I bought some mayonnaise and mustard, neither of which I’ve had in my fridge since moving to Los Angeles. 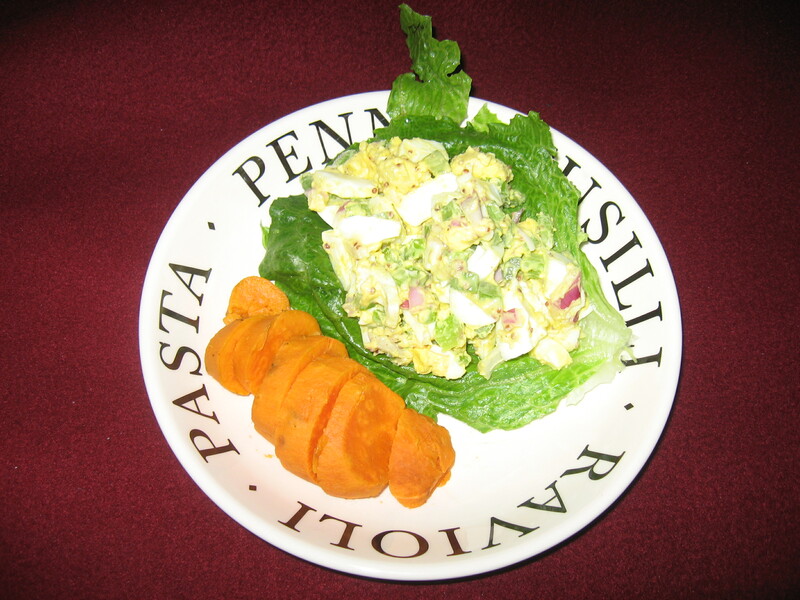 I had all these eggs leftover from the dozen I’d bought to make a couple of pans of brownies, so I turned them into an egg salad with red onion and celery (the latter also from the farmers market). I’ve since used the mayonnaise in a tuna pasta salad (with more red onion and celery) as well. Okay, this dish was a little more involved. And it has a bit of a story behind it. Last year, I discovered some Cooks Illustrateds in Beth Shalom, the house I was living in. 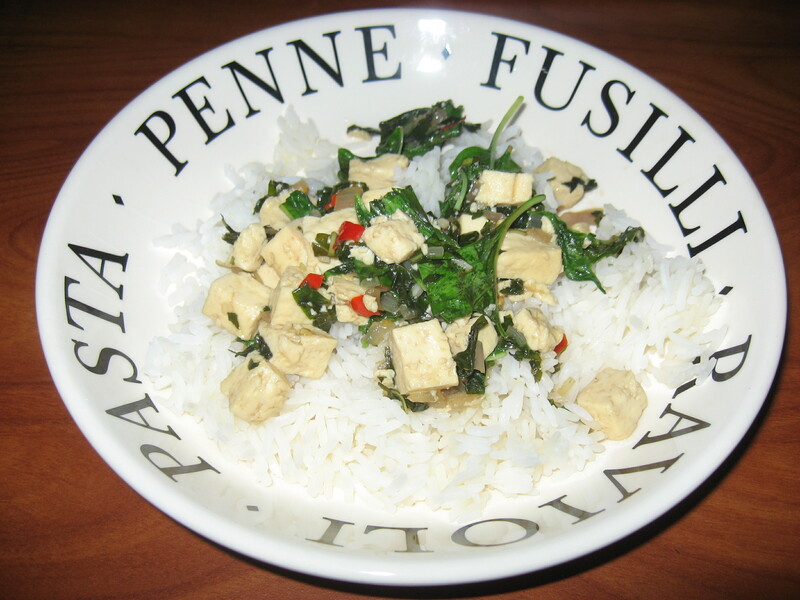 One of the issues had a delicious-sounding recipe for Thai basil chicken. I decided to cook it for a house meal, except with tofu, since our communal meals were vegetarian. I bought a big bag of slightly-past-its-prime Thai basil for almost nothing from the international grocery store and used dried Thai chilies from the jar that the previous residents of Beth Shalom had left behind. This dish also includes garlic, shallots, fish sauce, oyster sauce, sugar, and vinegar. Anyway, it turned out amazingly good, but very, very spicy, so much so that I think one of my housemates had to eat something else for dinner (oops). I kept thinking about making it again (with fewer chilies, perhaps), but I never got around to it. Fast forward to a few weeks ago, when I found a vendor at the farmers market here selling Thai basil (he also has lemongrass and kaffir lime leaves!). I immediately thought of this recipe and decided I had to finally cook it again. I didn’t have a food processor this time around, which meant more chopping. I also used fresh chilies instead of dried, so I figured I could use the same number as before. And it turned out just as good as I remembered! P.S. I am aware that all these non-pasta meals are pictured served in pasta dishes. I do in fact eat pasta out of them on occasion. This past weekend I went to the LA Regional All-Day Sacred Harp Singing, back at the former military post overlooking the ocean where I was for the All-California Convention in January. Since this was a regional all-day, it was smaller than the convention. The singing was great, though, and it was fun to see familiar faces and get to know some other Southern California singers better. The weather was more or less the same as it was in January (seriously, what is this climate?). 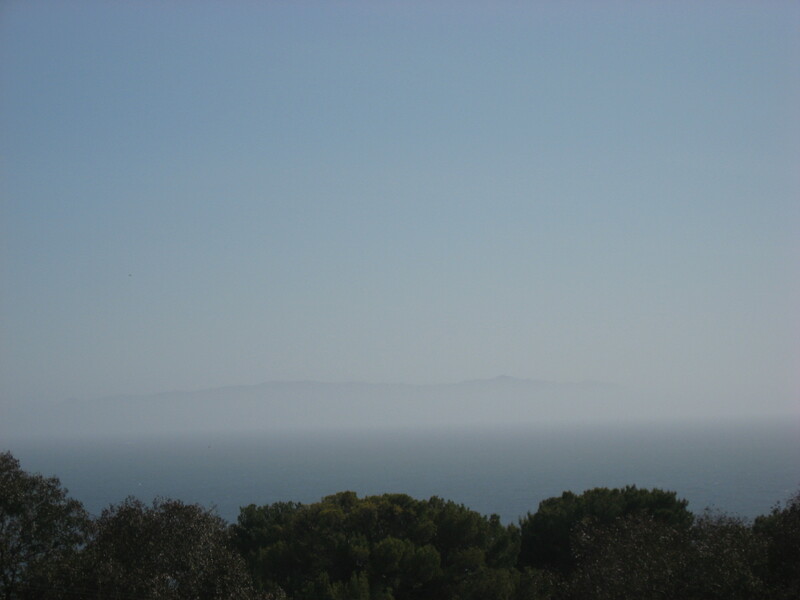 This is Catalina Island as seen from the top of the hill where the singing was held. It was almost invisible in the morning, and later in the day it was still mostly shrouded in luminous mist. 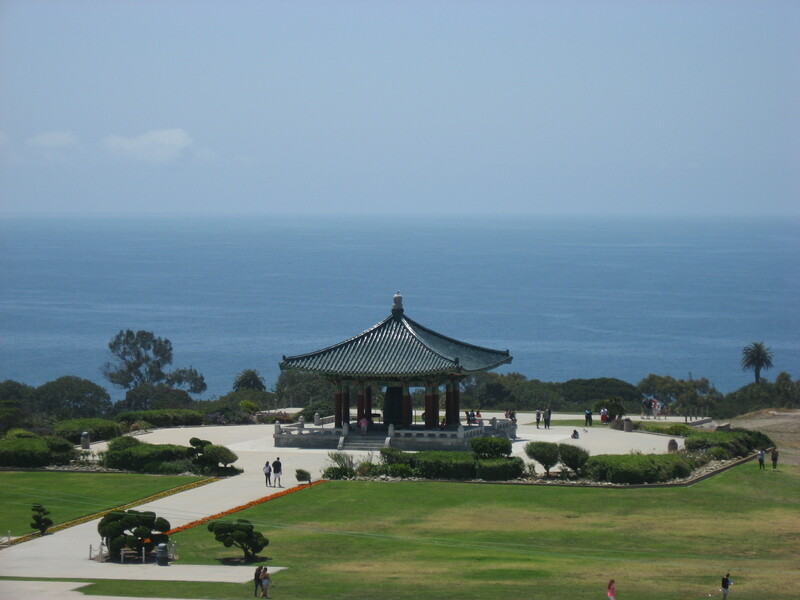 At the bottom of the hill is the Korean Friendship Bell, a gift from South Korea to the United States on the occasion of the latter’s bicentennial. I first saw it in January, during the convention, and I went back for another look this time. 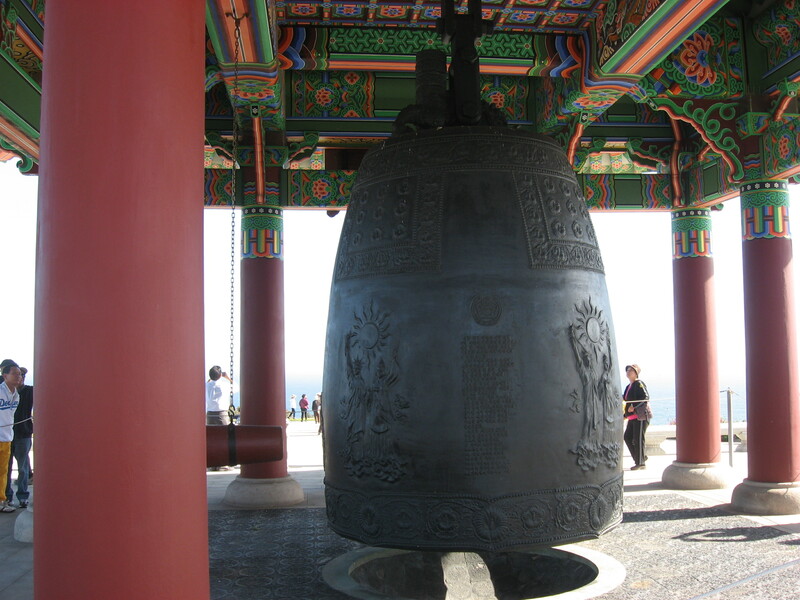 The bronze bell is massive and features a Statue of Liberty-esque figure next to a Korean figure on all four sides. If you look closely, you can also see many hibiscus blossoms, or, as the explanatory plaque calls them, roses of Sharon. Funnily enough, Rose of Sharon is also the name of a six-page anthem in The Sacred Harp, and we did in fact sing it on Saturday. Finally, a friend once told me that the world is tiny and the shape note world tinier still. Here is a story from this singing to illustrate that: It was still early in the morning, and I was singing away in the alto section looking across the hollow square at the tenor section when I noticed a familiar-looking man there. I knew I’d seen him recently, but I couldn’t recall where. I didn’t think I’d seen him at a local singing. I wondered if he’d been at the contra dance I’d gone to the weekend before, since it’s not unusual for shape note singers to be folk dancers and vice versa. Then I glimpsed his name tag, and I recognized his name as one I’d just seen somewhere (it was memorable in part because it’s very similar to the name of a well-known linguist). 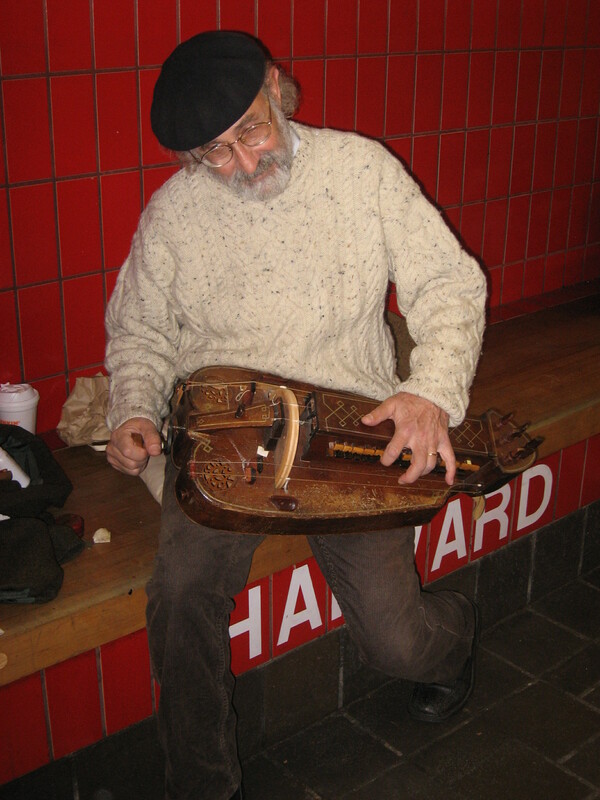 I was racking my brains trying to figure out where I knew this man from when it finally hit me: he was the musette player from the hurdy-gurdy concert I’d gone to the previous weekend, the one I wrote about last week! 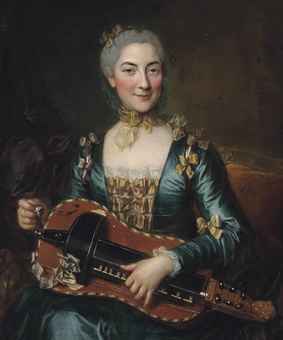 Anyway, at the next break, I accosted him and told him I recognized him as the musette player from the concert, and we had a pleasant conversation about early music. 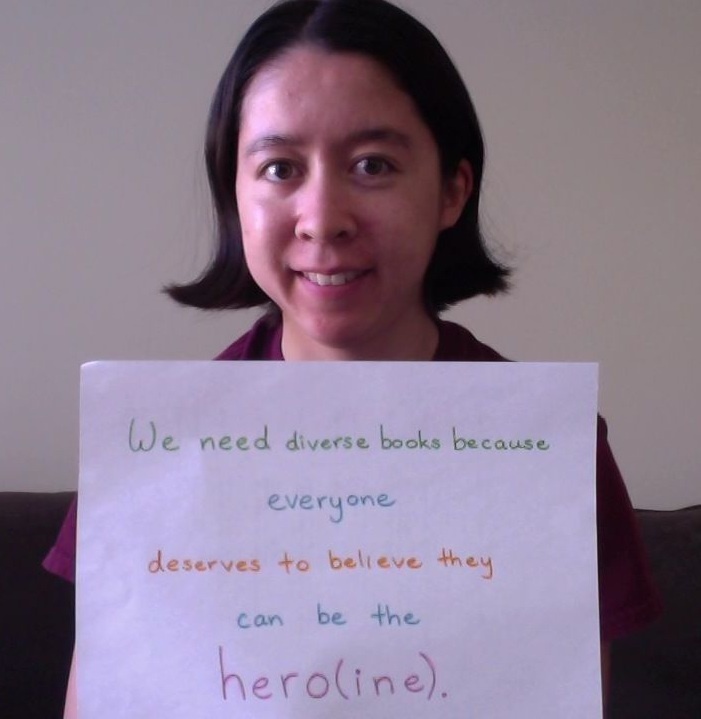 I think we need books for young people that portray authentically, not stereotypically, characters of all races, ethnicities, religions, socioeconomic backgrounds, body types, sexualities, gender identities, and so on. When children discover characters who are like them in books, they feel recognized and acknowledged and understand that they matter. When children read about characters who are unlike them, they are exposed to the true diversity of the world they live in, and they develop empathy. I was lucky in that I didn’t grow up feeling like there were no books starring people like me. I read the Little House books and The Chronicles of Narnia and His Dark Materials, but I also had In the Year of the Boar and Jackie Robinson and Yang the Youngest and His Terrible Ear and The Secret Voice of Gina Zhang. I read Laurence Yep’s Golden Mountain Chronicles. I can’t remember ever reading, as a child, a book about a character of mixed European-American and Chinese heritage, except for maybe one, but I wasn’t bothered by it. I don’t actual recall being very aware of race as I devoured books, and I never felt invisible. Like I said, I was lucky, and I was privileged. But it’s heartbreaking to know that there are children in the U.S. today who believe that someone like them isn’t worthy of being the protagonist of a story or that someone like them can’t grow up to be a writer. And that’s what we need to change.